Email info@writingonthewall.org.uk if you are interested in the course and we will send you further details. 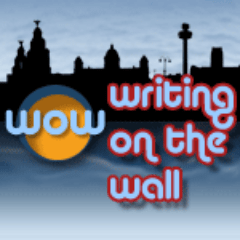 Writing on the Wall will work in partnership with Julian Perkins in assisting a team of selected writers to develop their skills, whilst transforming their ideas into a short drama for production. Julian is a highly-esteemed scriptwriter with a wealth of experience and knowledge to bring to the course. With a CV covering every aspect of the medium, his TV credits include, The Bill, Emmerdale, EastEnders, Casualty, Grafters, Murphy’s Law and MIT, Julian having enjoyed the position of a lead writer on a number of long-running series. He has also written successfully for stage and radio, most notably his award winning and much acclaimed play ‘Images Of Tiffin’. Assisting Julian will be agent Diane Culverhouse, head of the leading literary agency, Culverhouse Associates. With her years of experience in developing and nurturing, new writing talent, Diane will be on hand to help the writers develop and plot their ideas. With a stable of writers on many of today’s leading dramas, Diane’s input and expertise will be invaluable. Writing on the Wall will aim to recruit a maximum of ten writers who will be committed to completing the course and contributing to the final showcase. Applicants are not required to have had work previously produced, but will be required, through interview and/or submission of their CV/Portfolio, to show their commitment to working collaboratively and completing the course. The course consists of 4 x three hour, monthly workshops, led by Julian Perkins, between November 2013 and April 2014. Although these sessions will take place in the evening, the time and dates are to be set around Julian’s commissioned work schedule and in agreement with the participants, reflecting real working practices within the industry. The first workshop will be held on November 27th 2013 with each writer expected to arrive with that burning idea and story that they’ve always been desperate to tell. Julian will give an introductory session in plotting, character journeys and story arcs etc. The writers will then pitch their ideas, receive feedback and use what they’ve learnt to go away and develop their ideas into a structured, ten-minute drama and prepare a scene breakdown for the next session. Workshop Two will see each writer pitch their breakdown to Julian and Diane, where they will receive notes and guidance in improving the drama. There will then be a masterclass on the basics of scriptwriting, including dialogue, characterisation and using visual medium to its advantage. The applicants will then use this tutelage to go away and write the first draft of their scripts. Workshop Three will be an opportunity to receive feedback on first drafts from Julian and Diane. Although not prescriptive, the writers will be expected to take professional advice on board and then go away and rewrite their scripts accordingly. As the course means collaborating closely, the writers will also be teamed in pairs to support and feed ideas off each other between sessions. Workshop Four will consist of a read-through performance of each second draft by a team of local actors. This will be a chance for the writers to react to what is and isn’t working and then go away and do a final polish, ready for the showcase. As the production will be staged at a local theatre, writers will have to tailor their script to work within the confines of a stage. The final showcase production will be held during the Writing on the Wall Festival in May 2014 and staged in front of an audience. There’ll be an award for the best script, which will be judged by Diane and other notable professionals from the TV and film industry.